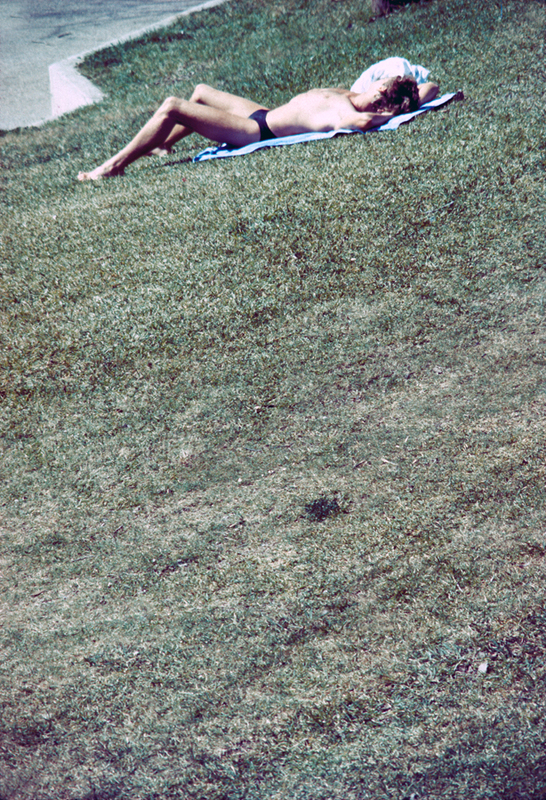 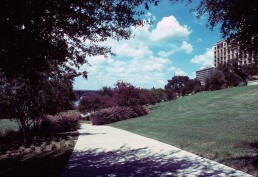 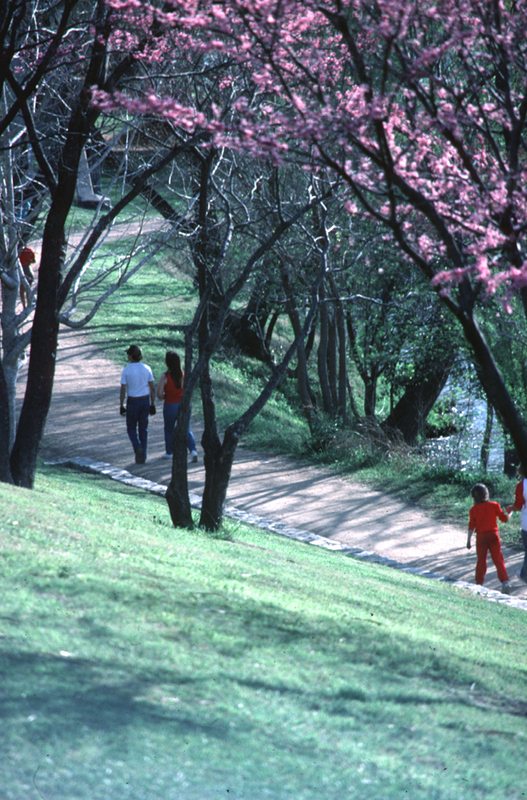 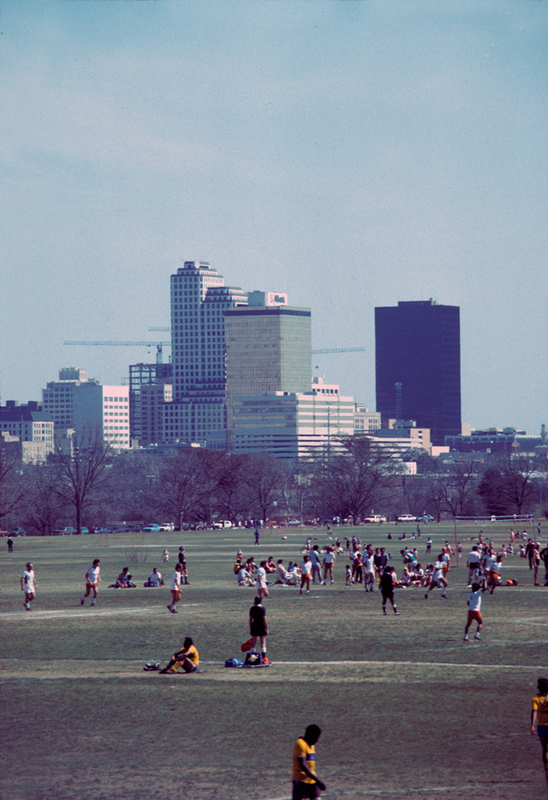 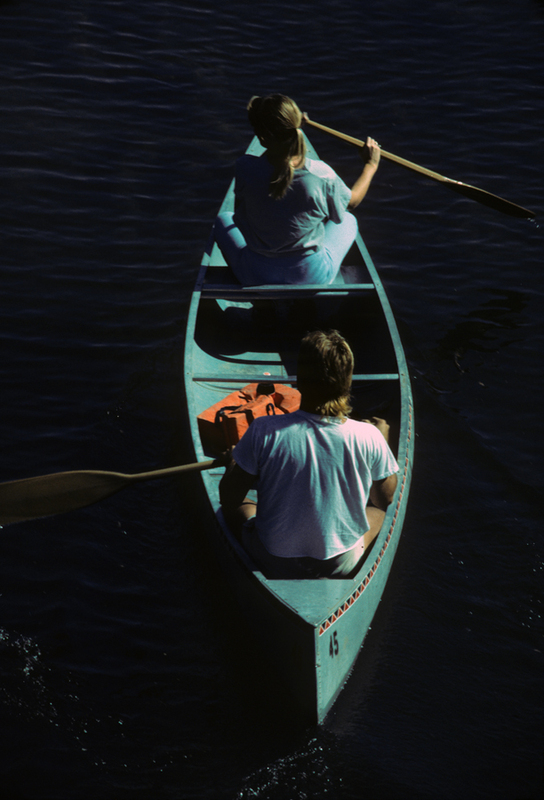 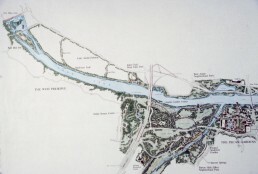 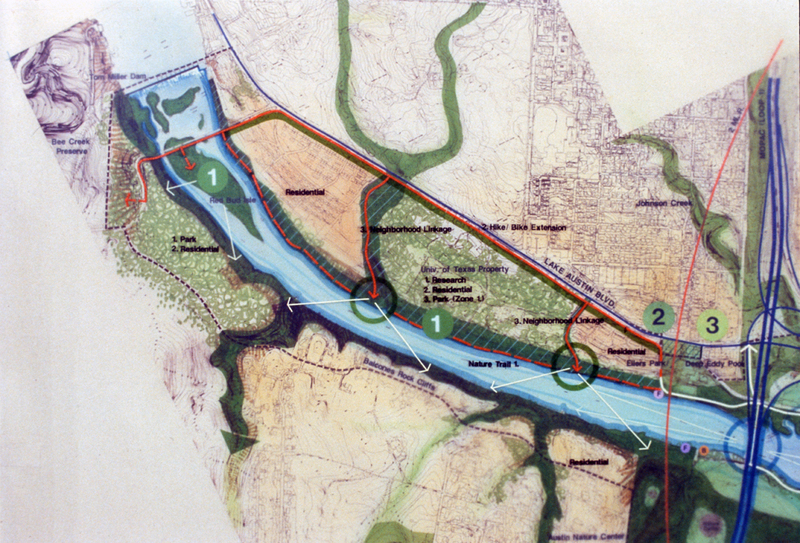 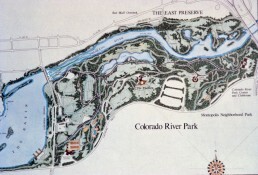 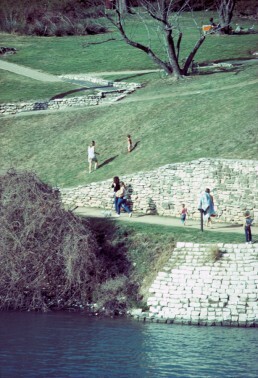 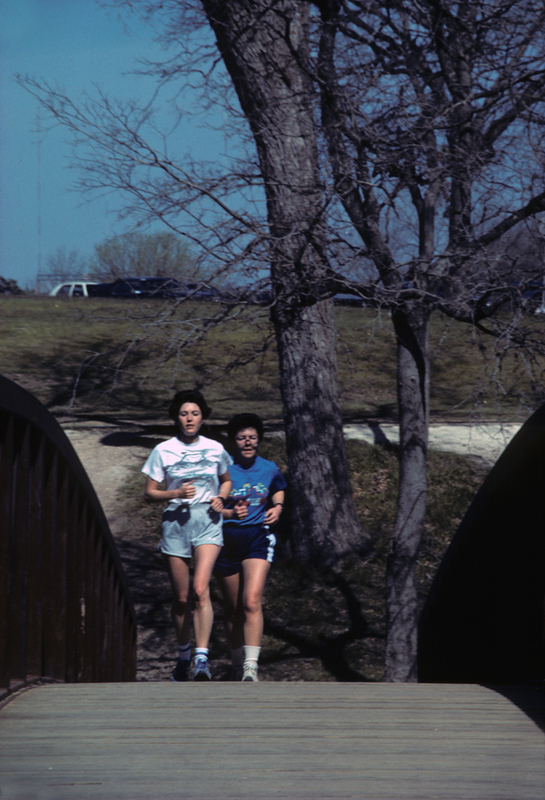 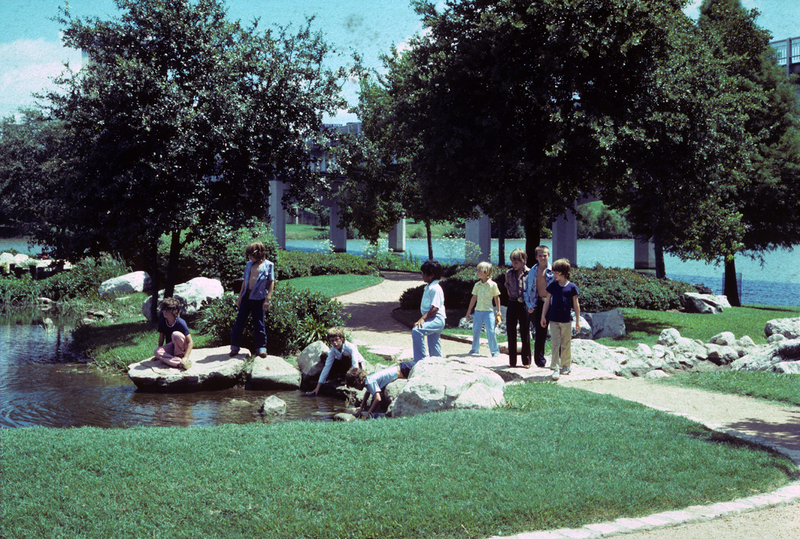 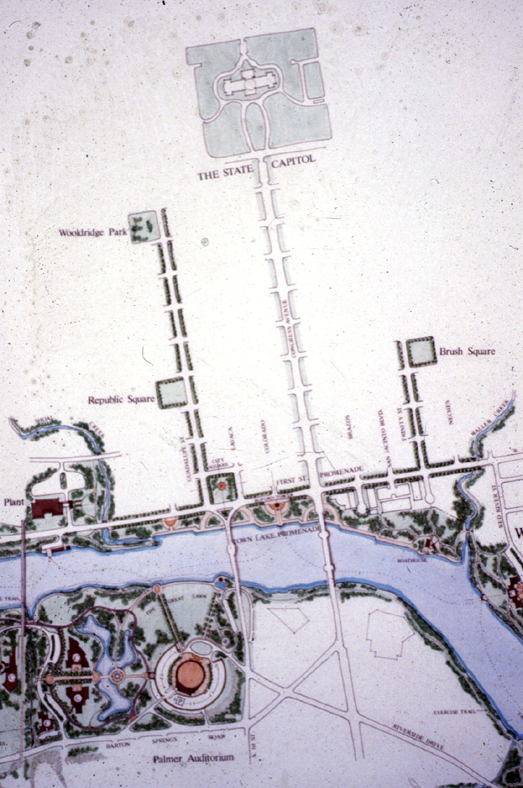 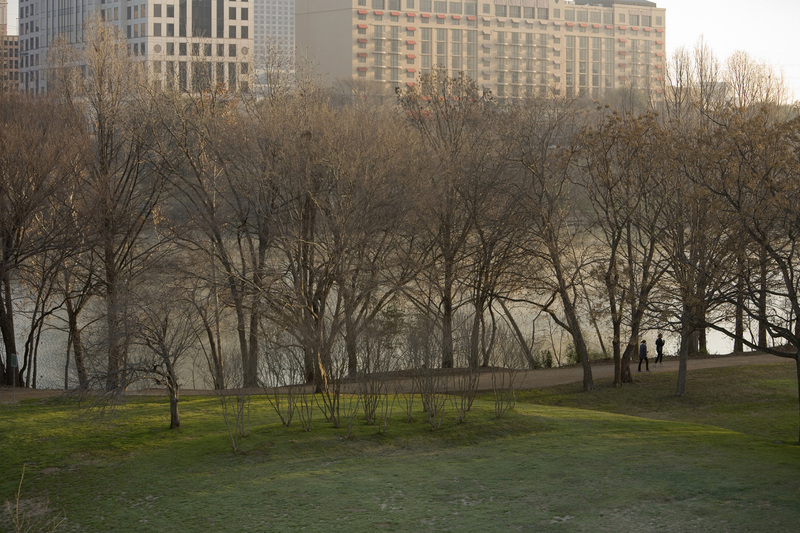 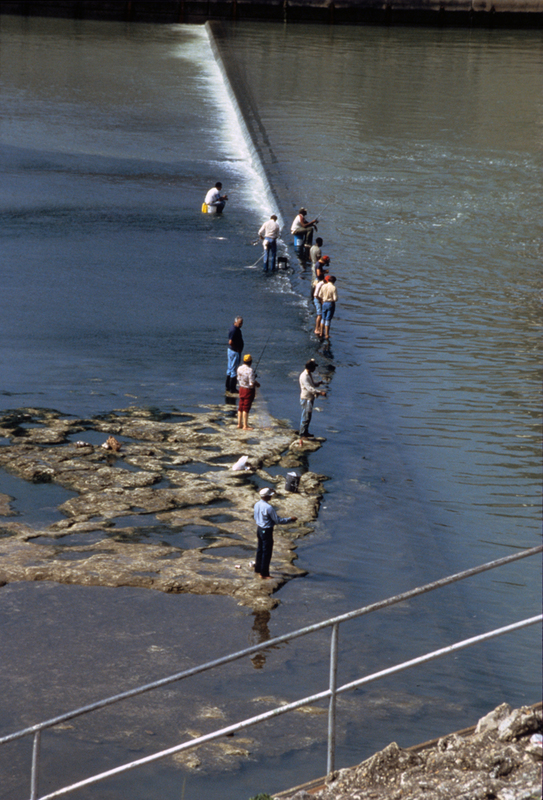 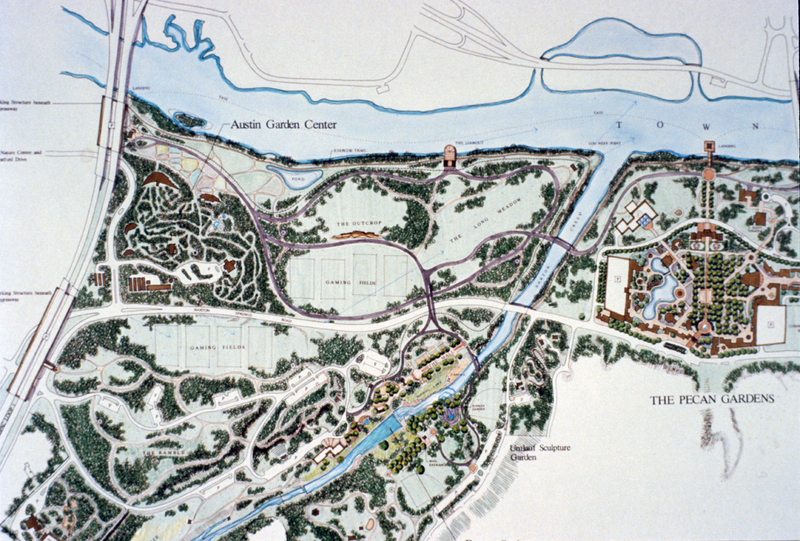 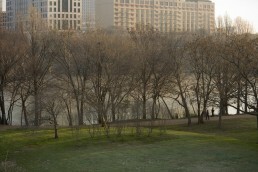 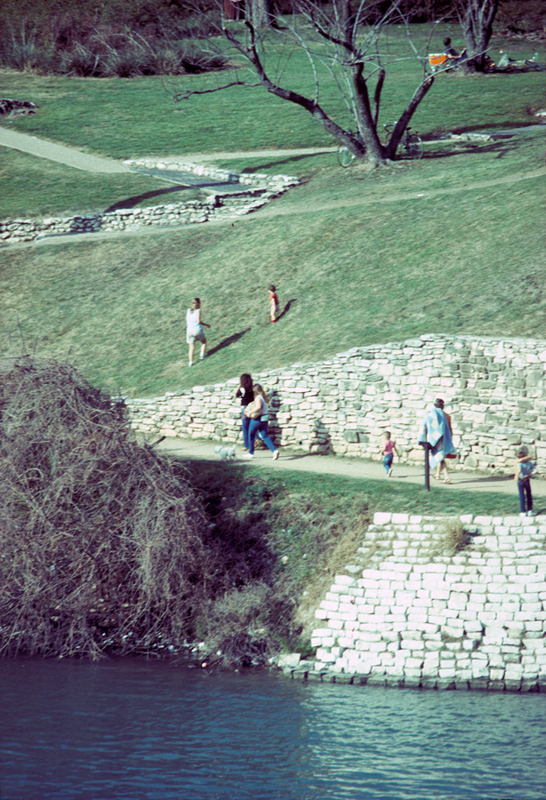 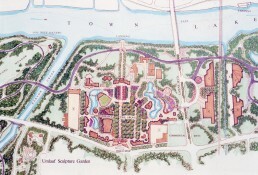 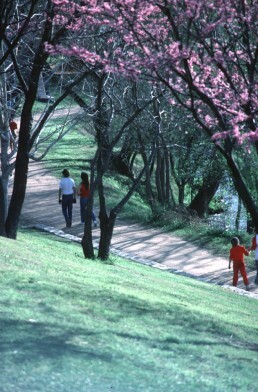 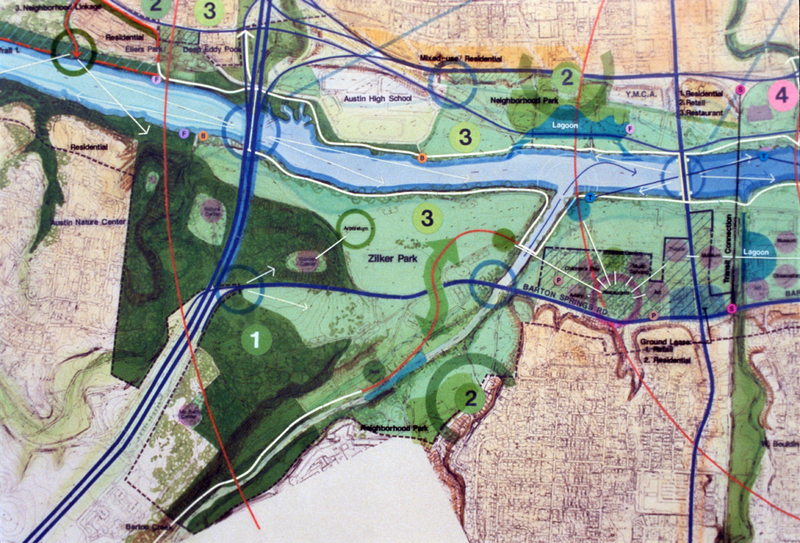 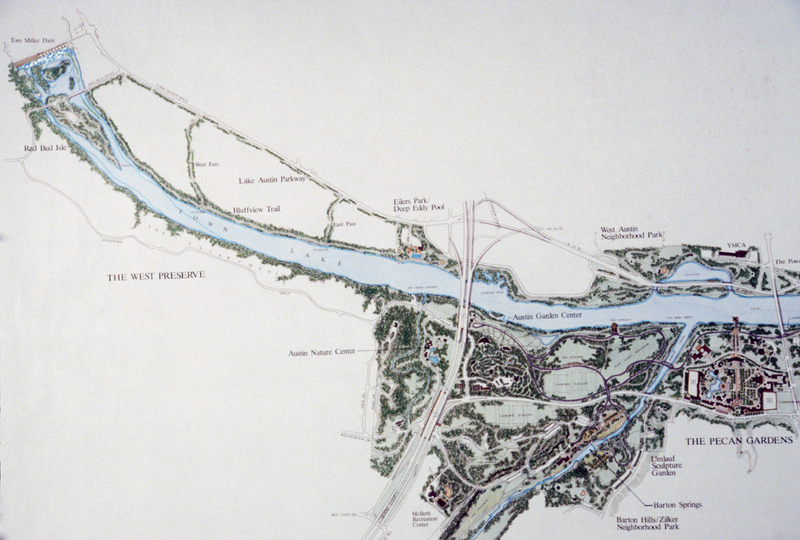 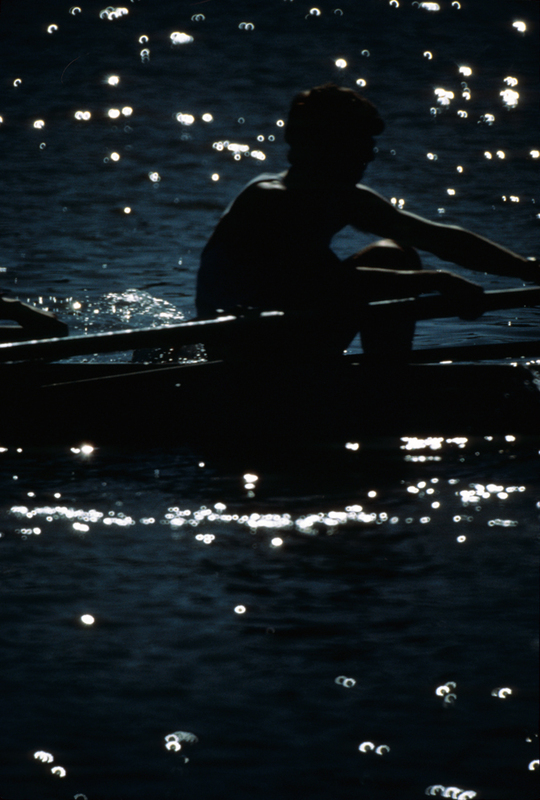 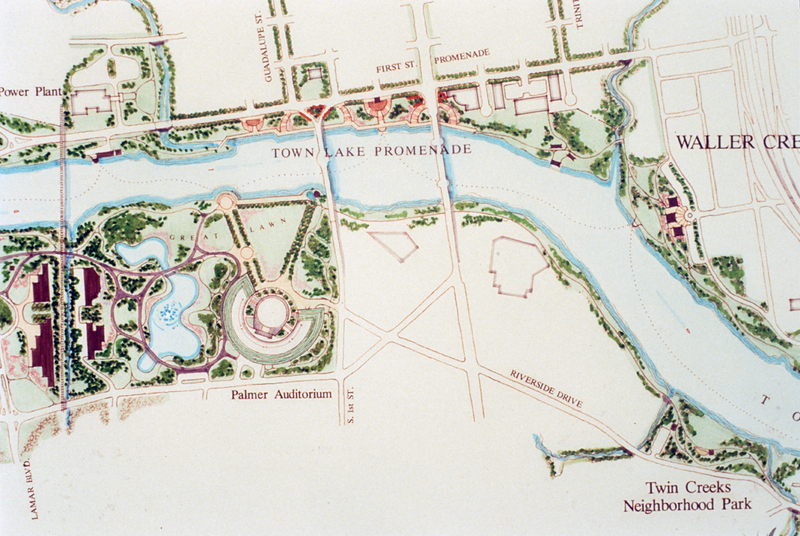 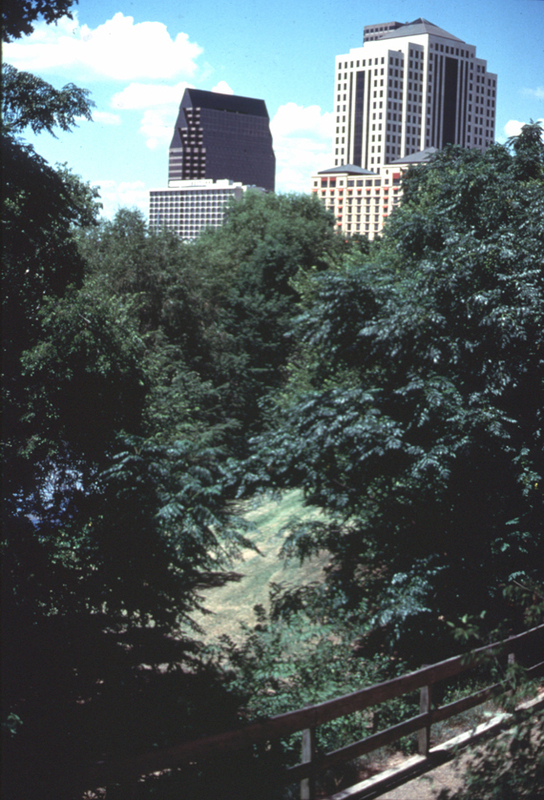 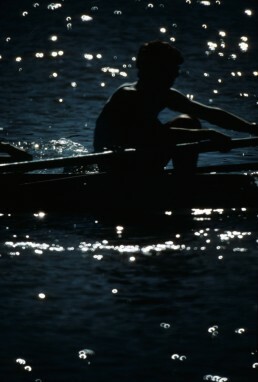 When it was completed in 1984, the Town Lake Comprehensive Plan was the largest planning project ever undertaken by the City of Austin. Its purpose was to consolidate park lands and useful recreation space through selective land acquisitions, thereby creating an active new “living room” for the heart of the city. 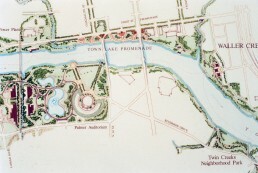 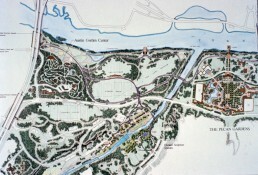 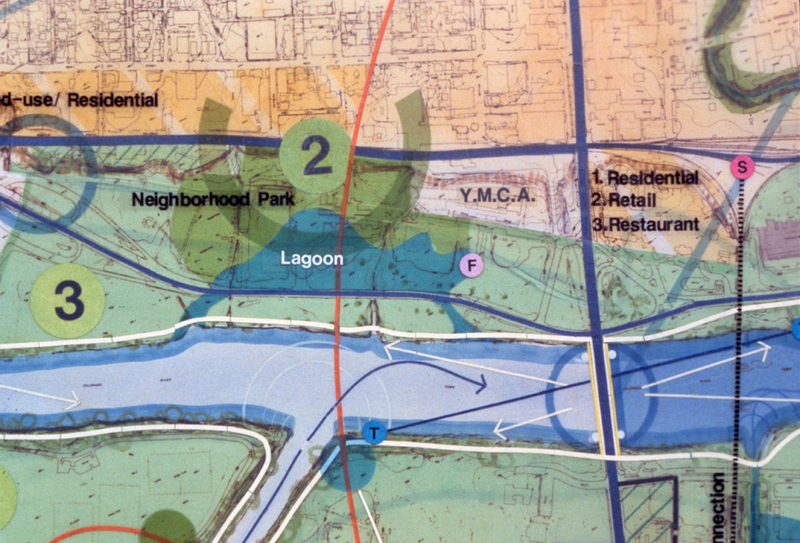 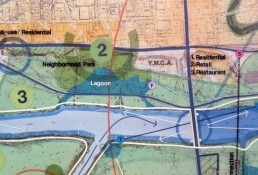 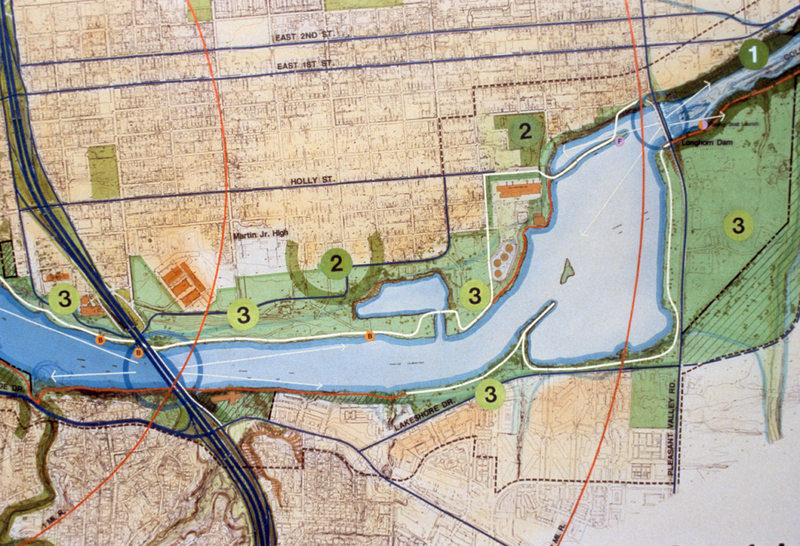 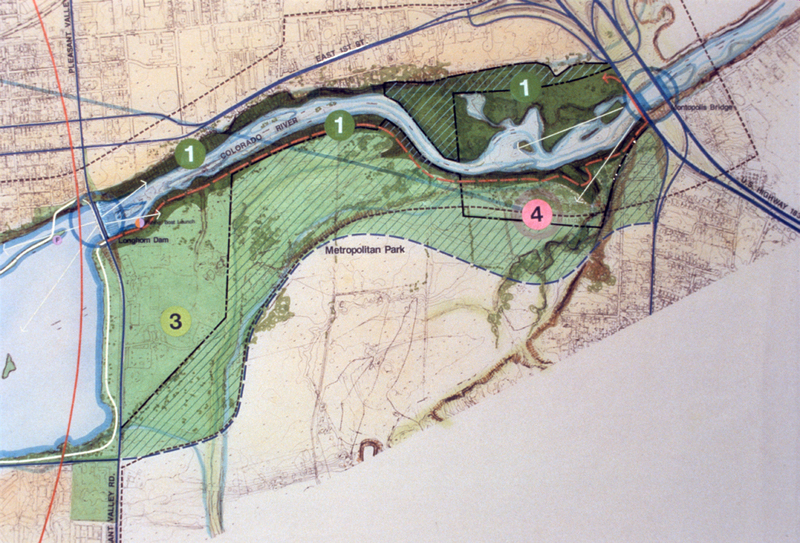 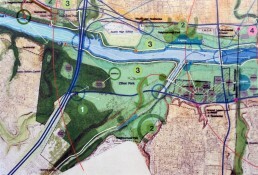 The plan also located future civic functions and performance venues and outlined zoning overlays to guide development on both sides of the lake. 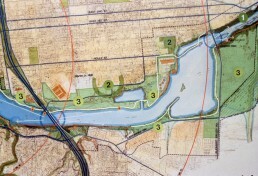 The planners held more than 200 meetings with stakeholders, neighborhood groups, political leaders and the general public over the two years of the study. 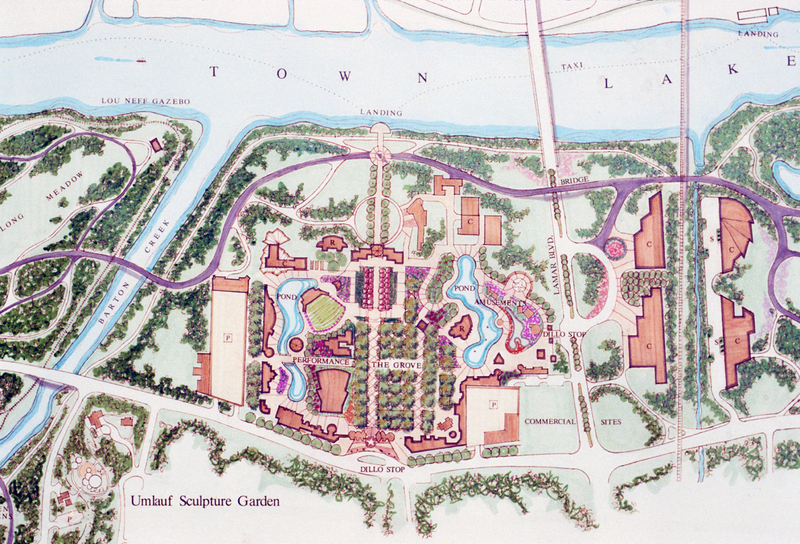 Larry Speck was co-principal of the effort with Clarence Roy of Johnson, Johnson and Roy Landscape Architects.